General Appearance: Compact but powerful dogs, very muscular. Ears can be up or tipped, coat short requiring only occasional brushing. The most common colors are tri-colored, and white with red, but they can also be found in solid red, black and tan, red brindle and white with blue. Size, Proportion, and Substance: There are 3 size classes for the Rat Terrier: 14 - 23 inches, 12 - 35 pounds; Under 14 inches, under 8 pounds; 8 inches, 4 - 6 pounds. Background: Also known as the American Rat Terrier, they were developed in the USA to control rodent populations and the larger varieties also perform well as hunting dogs. The smaller varieties have become very popular as house pets due to their intelligence and cheerful personality. 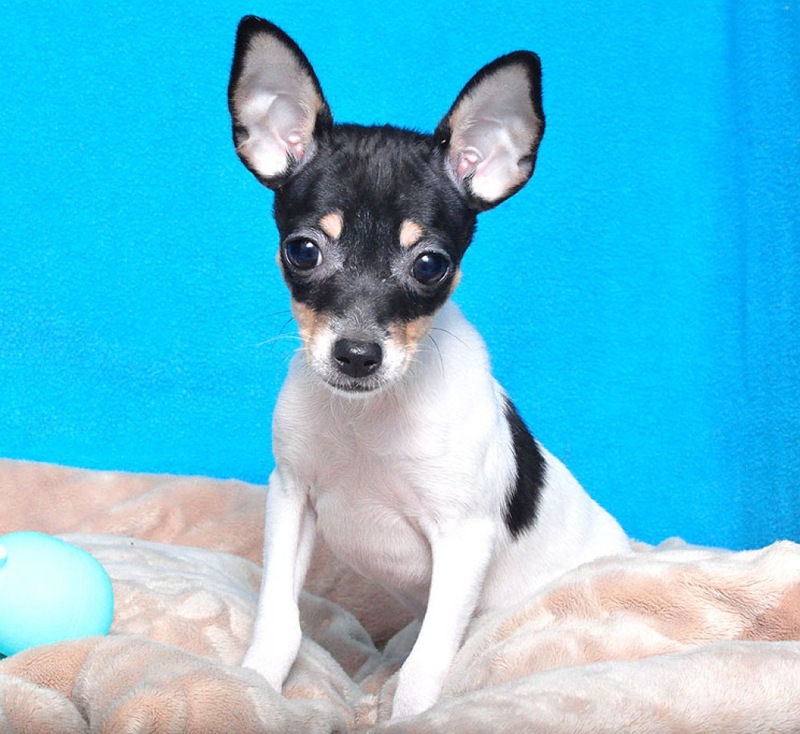 The Rat Terrier will do best in a home where it will be properly trained and frequently exercised. They are a good family dog as long as the children are gentle and respectful with them - especially the toy variety. Despite their small size they are fearless guard dogs who will try to defend their owners if they feel they are being threatened.